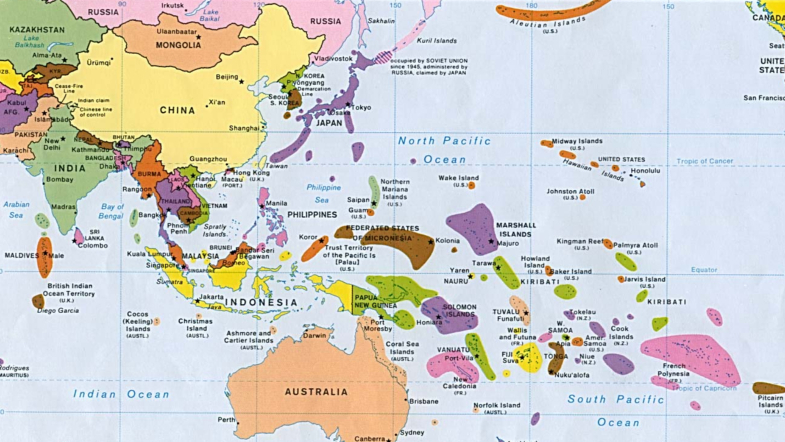 May is Asian/Pacific American Heritage Month, a month that celebrates people in the United States with heritage from anywhere in the Asian continent or the Pacific islands of Melanesia, Micronesia, and Polynesia. Obviously, that’s a huge geographic area to represent, but here are six books by Asian/Pacific American authors to get you started that you should read now. Or any time of the year, really. They’re that good. This book actually won the Asian/Pacific American Award for literature as well as the Pulitzer in 2016. The narrator is a half-French, half-Vietnamese army captain who builds a new life in Los Angeles with other Vietnamese refugees after the Fall of Saigon, but secretly he is reporting information back to his superiors in Vietnam. If you haven’t read it yet, you better read it now before the movie comes out in August. Rachel Chu, the book’s protagonist, agrees to spend the summer in Singapore with her boyfriend Nick and his family, but it’s not until she gets there that she finds out that his family is ridiculously wealthy and that Nick is, in fact, the country’s most eligible bachelor. Just released this past February, this book tells the story of Mei, a Taiwanese-American teen whose parents want her to go on to become a doctor and find a nice Taiwanese guy to marry. What she doesn’t have the heart to tell them is that she can’t stand germs and that the guy she has a crush on is definitely not Taiwanese. If you loved When Dimple Met Rishi as much as I did when I read it last year, then you’ll love Sandhya Menon’s newest novel, which was released just this week. Told through a series of letters, it follows Twinkle, an aspiring filmmaker. When she gets a chance to work on a movie with a fellow film geek Sahil, she jumps on the opportunity, especially since it also gets her closer to her crush and supposed secret admirer Neil, but over the course of making the film, she finds herself falling for Sahil instead. This novel, which was included on multiple best books lists for 2017, is about a girl named Desi who is a bit clueless when it comes to getting a guy. When she finds the meets the man of her dreams, she looks for guidance in Korean dramas, where the girl always ends up in the arms of her love. She gets drama for sure, but she soon finds out that real love is about so much more than that. This debut fantasy novel is the story of Nix, the daughter of a time traveler who can travel to any place and any time as long as there’s a map for it. When he finds a map of 1868 Honolulu, the year before Nix’s mother died during childbirth, Nix isn’t sure what will happen if her father tries to change the past, but she does know that her entire existence is in danger.